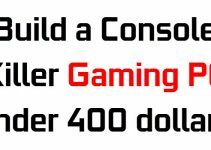 If you are tight on cash and want to build a gaming PC under 300 dollars then you are at the right place. A 300 dollar gaming PC can let you play latest games on low-medium settings at decent resolution and older games at high settings on 1080p. You can always upgrade the components, most preferably graphics card in future when you have more cash in your hands, so as to enjoy upcoming demanding games at high or ultra settings at 1080p. But here in this post I am going to tell you on how you can build the best gaming PC under 300 dollars using the best budget components available in the market right now. 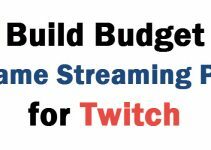 If you have more budget then you can see this guide on building a gaming PC under 500 dollars. Further you may also want to check out this console killer PC under 400 dollars. Here is the list of major components that you will require for a gaming PC under $300 budget. There is no monitor, mouse, keyboard and optical drive but only the major components that you need inside the PC case. For a 300 dollar gaming PC you should be fine with a good dual core processor because if you move to quad core or core i series processors then your total budget will go way above 300 bucks. So here I have selected Intel Pentium Processor G4400 which is a dual core processor having maximum speed of 3.30 GHz. It uses the latest FCLGA 1151 Socket and has Cache size of 3 MB. It comes with Intel HD Graphics 510 integrated but we won’t need that because we are building a gaming PC and will use a dedicated graphics card. 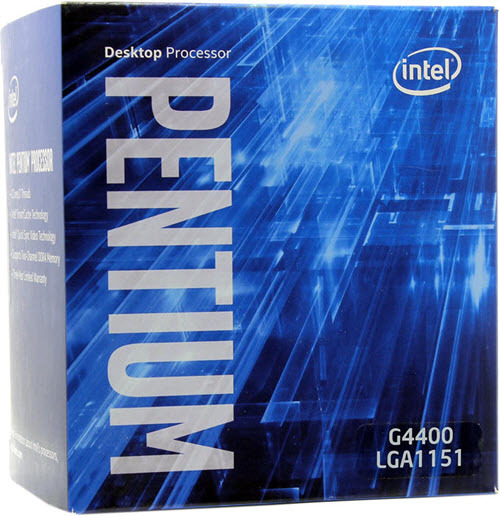 Intel Pentium G4400 is the latest best affordable processor that is also big on performance. It is a dual core Skylake processor that consumes lesser power and stays pretty cool even with the stock cooler. You will never loose out on performance in games when your pair a good graphics card with this processor. When paired with a good mid-range graphics card you can play most of the games at 1080p. You may also overclock this processor further for more performance but for that you will require a good aftermarket cooler. For Pentium G4400 Skylake processor you will require a Socket 1151 motherboard. The main advantage of Socket 1151 motherboard is that it this is the newest socket type and is used for the latest Skylake and Kaby Lake processors, and will let you upgrade to better processor in future without having you to change your current motherboard. 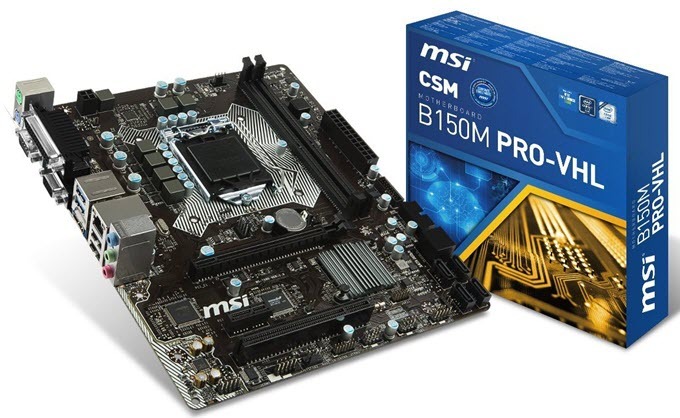 Here I have chosen MSI B150M PRO-VHL motherboard which is a very good budget motherboard for Intel 6th Generation (Skylake) and Intel 7th Generation (Kaby Lake) processors. It is a micro-ATX motherboard and comes with decent amount of features. It supports Core i3/i5/i7, Intel Pentium and Intel Celeron processors for Socket LGA 1151. It has got fast USB 3.1 ports, PCI Express x16 graphics card slot, SATA 6Gb/s ports. The motherboard is based on the Intel B150 chipset and supports DDR4 RAM and is Windows 10 Ready. Various features include Overvoltage Protection, Intel SBB Support, EZ Debug LED, Audio Boost, Click BIOS, Guard-Pro. For a budget gaming PC under 300 dollars you should be fine with 4GB of RAM. 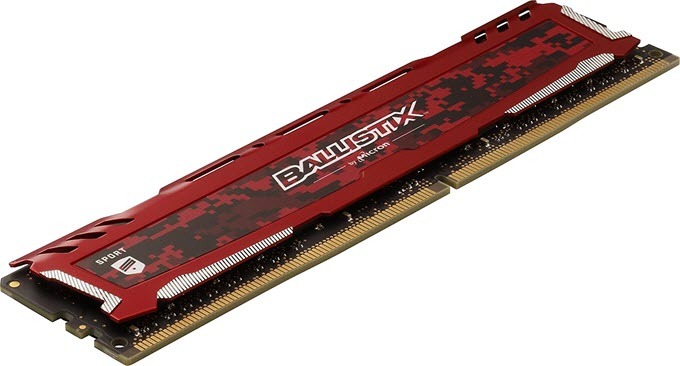 Here I have picked Crucial Ballistix Sport LT 4GB Single DDR4 RAM that has maximum speed of 2400 MHz. It is a gaming memory and comes with a heatsink or heat spreader for better cooling. You may upgrade the RAM in future to 8GB and run them in dual channel mode for more performance when you have more money in your hands. 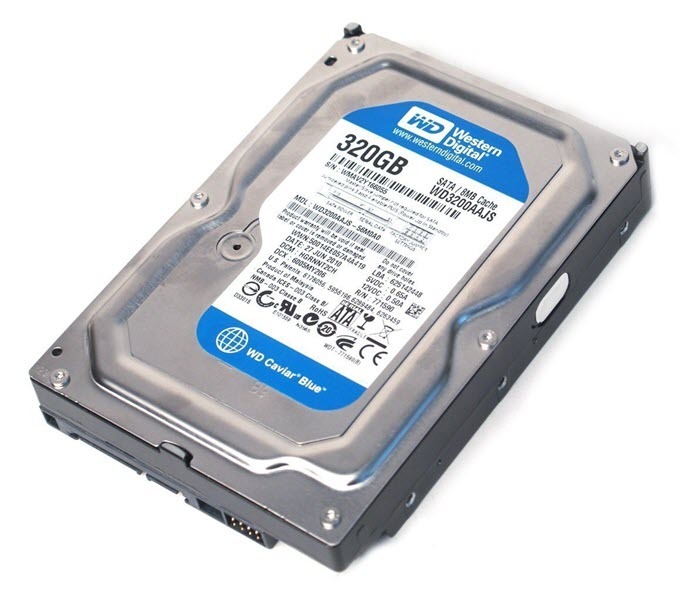 For the hard disk I have chosen Western Digital Caviar 320 GB because it is cheap, reliable, fast and has enough space to store most of your games and important data. It is a 7200 RPM SATA II HDD and comes with 8 MB of cache. You can upgrade the hard disk in the future if you need more space. 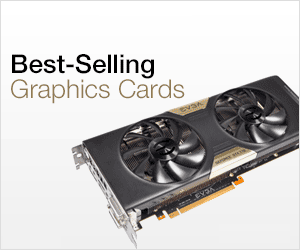 Here comes the most important component of your gaming PC which is the Graphics Card. Here I am going to provide you two choices, first is Nvidia GeForce GT 730 and other is AMD Radeon RX 460 graphics card. If you want your gaming PC strictly under 300 dollars then you should choose GT 730 but if you can stretch to 330 to 350 dollars then go with Radeon RX 460 which offers much better performance as compared to GT 730 and will let you run latest games at medium setting at playable frame rates. 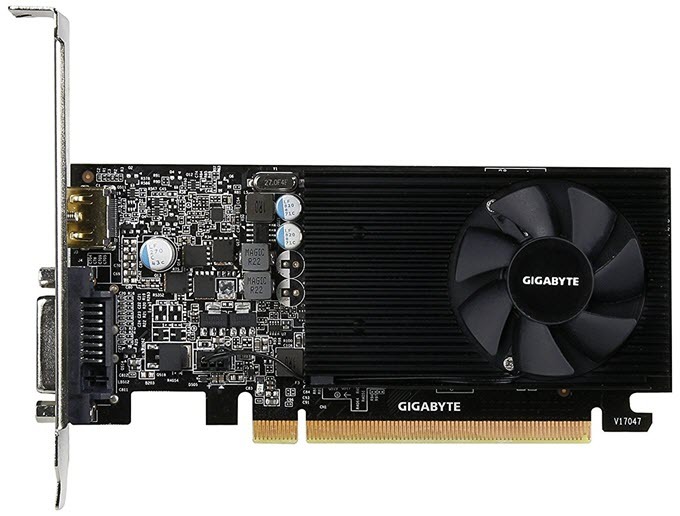 Gigabyte GeForce GT 1030 is a low profile graphics card that is actively cooled by a fan and heatsink. The card is based on the Pascal GPU architecture from Nvidia and comes with 2GB GDDR5 VRAM having memory interface of 64-bit. 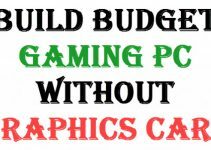 It is a budget graphics card that packs decent amount of power and lets you play latest games on low-medium settings and older games at high settings at 720p and 900p resolutions. This card has lower power consumption and does not require external power from the PSU. Radeon RX 460 is budget mid-range graphics card that is way powerful than GT 730. It is even faster than GTX 750 Ti and has performance comparable to that of GeForce GTX 1050. 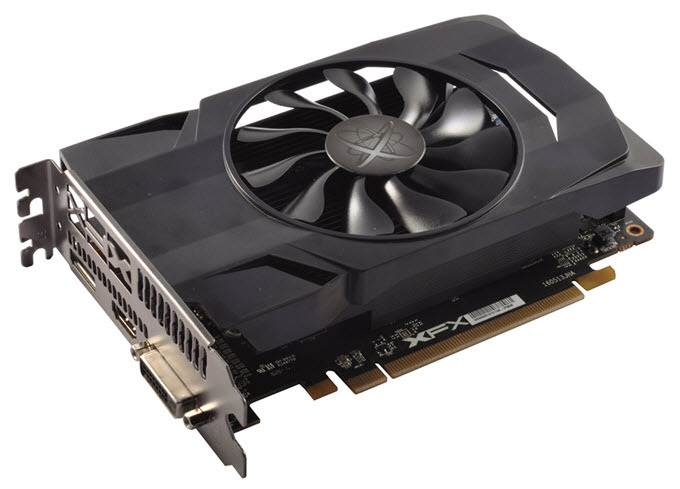 Here we have XFX Radeon RX 460 which comes with 2GB GDDR5 memory. The card has got dual slot design and is cooled by single fan and heatsink. On this card you can play some latest games like OverWatch, DOOM, BF4 on medium-high settings at 1080p while for other you may have compromise on some graphics settings. It is unarguably the best budget graphics card that you buy at a great price from the link mentioned below. To power this gaming rig you will need a good branded PSU that can easily take the load of this PC. 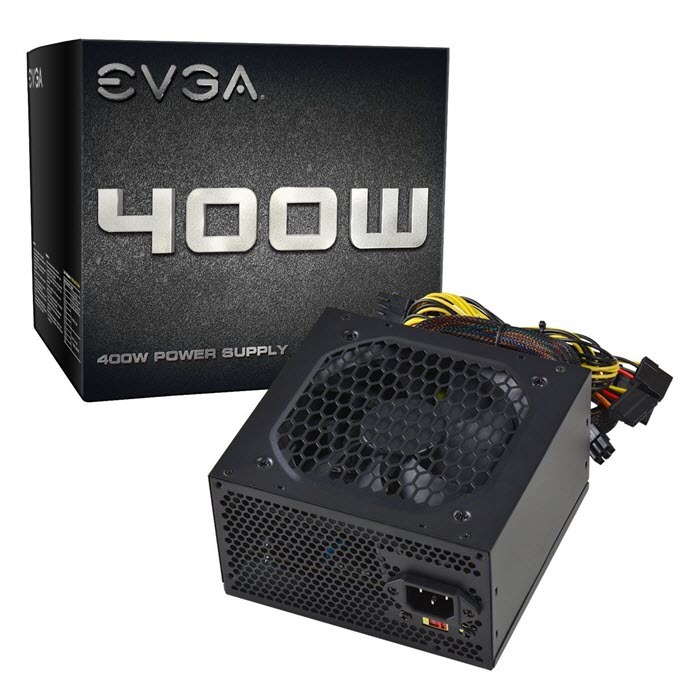 The power supply that I have chosen is EVGA 400W which is a good, branded and reliable PSU and can easily run a budget gaming PC. This is a great budget power supply and comes with all the required cables and connectors. For graphics cards it comes with 6 pin and 8 pin (6+2) connectors. The PSU has got 30A current on its Single 12V Rail which is sufficient for a budget gaming PC. The 120mm fan is quiet and it does a good job in keeping the PSU components cool. You need a good computer case so that all the above mentioned components can fit in properly. 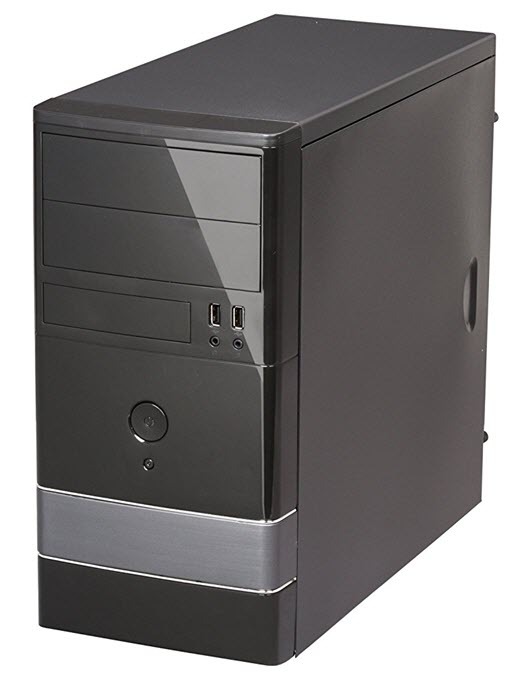 Considering the budget here I have picked Rosewill FBM-01 Dual-Fan Micro ATX Mini Tower Computer Case which is a decent mini-tower PC case and can accommodate all your components including the graphics card easily. This nice little case has good air ventilation as it comes with one 80mm rear fan, one 120mm front or intake fan and side vents. The construction quality is also pretty good for a PC cabinet of this price. There are two USB 2.0 ports and audio ports for easier access to your portable devices. This compact computer case comes in all black color and you can get it at an amazing price from the link given below. Well at the end I would like to say that here I have listed down the best components that you will need a budget gaming PC under 300 dollars. All the components listed here are latest and you may upgrade them if you can invest some more money in it in the future. If you have any queries then please feel free to ask me by leaving a comment below. i can’t seem to find that mother board in stock. recommended replacement ? I have updated the link so please check again.